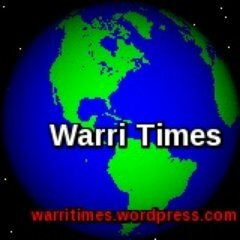 Warri Times Newspaper,12345 commonly referred to as Warri Times www.warritimes.wordpress.com is an online newspaper that publishes Warri news. It is based in Warri, Delta State, Nigeria. Its Publisher/Editor-in-chief is Pastor Isaiah Ogedegbe. He officially launched the online news agency on Thursday, October 5, 2017 in Warri. His phone number is 08134836494 and his email address is warritimes@gmail.com. His official Facebook pages are facebook.com/warritimes and facebook.com/prophetoiogedegbe.